Hot and Spicy Cinnamon Creme Oreos - What's Goin' On In The Kitchen? 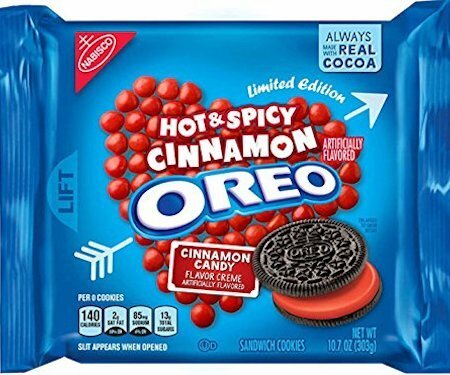 As if Oreos couldn’t get any better, along come these Hot and Spicy Cinnamon Creme Oreos. In a new twist on a delicious treat that has been around since 1912, this Oreo replaces the traditional filling with a rich cinnamon centre, providing the perfect ying to the chocolate yang of this biscuit. Give these a dunk in your favorite drink today!